You can still place your Avon Campaign 23 2016 Backorder until Wednesday, October 19th, 2016. Browse the brochures below, pick the items you wish to order (by item number) and Click Here! to enter your order. The order form will open in a new window so you can refer back to the brochure. You will have to select which campaign the item number is from to get the correct price and availability. Thank you for shopping my Avon website. 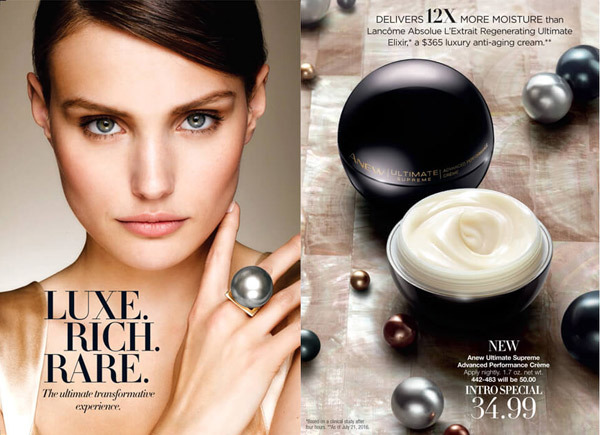 Avon Brochure C23 2016, Introducing Anew Ultimate Supreme Advanced Creme, Avon Love Your Face Event, a Christmas Holiday Preview with gift ideas and more! Shop the Avon “Love Your Face Event”! Get an Avon MagiX Face Perfector for only $4.99 with any two purchases from pages 9-21 in the Avon Brochure C23 2016. A revolutionary colorless gel-to-powder formula provides invisible coverage for a naturally flawless finish and keeps skin looking naturally matte for 7 full hours. The “magic” behind magiX is Avon’s patent-pending High Definition Finish Complex, an exclusive complex that works to counteract shine and visibly smooth the look of fine lines and pores! The Face Perfector can be used as a primer, but also can be used on its own to blur away and imperfections. The colorless primer is perfect for all day wear and fights the look of oily shine, it also has SPF 20 to help keep your skin healthy and glowing. It’s never to early to give. Avon has some great early holiday gift ideas. Get your shopping done early this year.